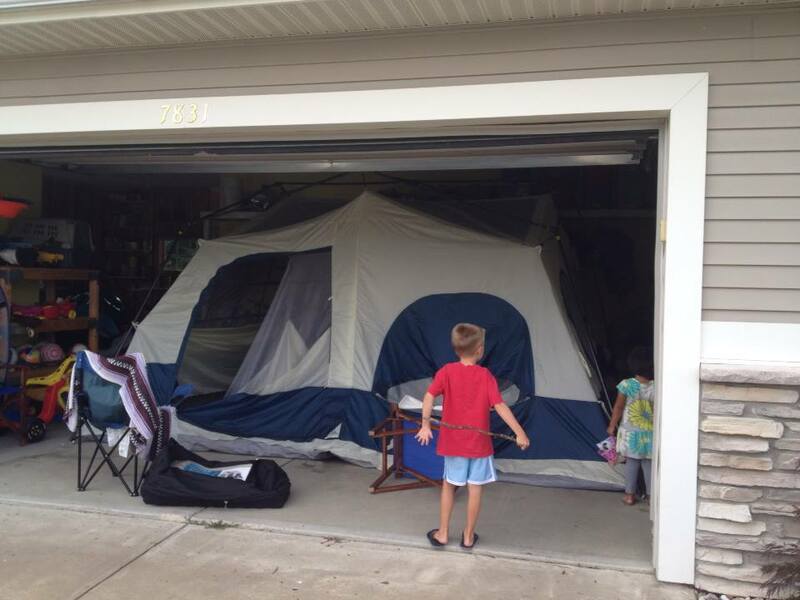 Maybe Next time we should just camp in the garage..
A few weekends ago while we had Little Miss we went camping. I love to camp, I really do! I do not however like to pack up a wet tent. I dislike it even more when it is down pouring while we pack up. I absolutely detest it when the tent is leaking and everything inside of the tent is wet in addition to the outside things while it is down pouring! This is what happened to us our weekend of camping. It began to sprinkle so we put most things away, but that doesn't help too much when in the middle of the night rain pounds on the nylon over your head and the outside of your sleeping bag is wet from the leaks funneling water through! At least the kids thought it was super fun!! 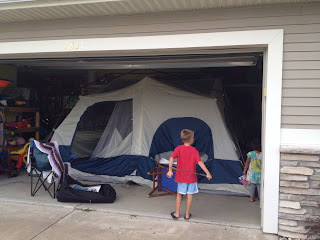 Drying everything out and washing everything because it was damp and smelling took awhile and I felt like white trash having my tent up in my garage, but you do what you have to do to make a family adventure fun - right? right? Two Lola's in the House! This Time- IT'S A GIRL!! A Crazy Adventure that YOU HAVE to do!! !